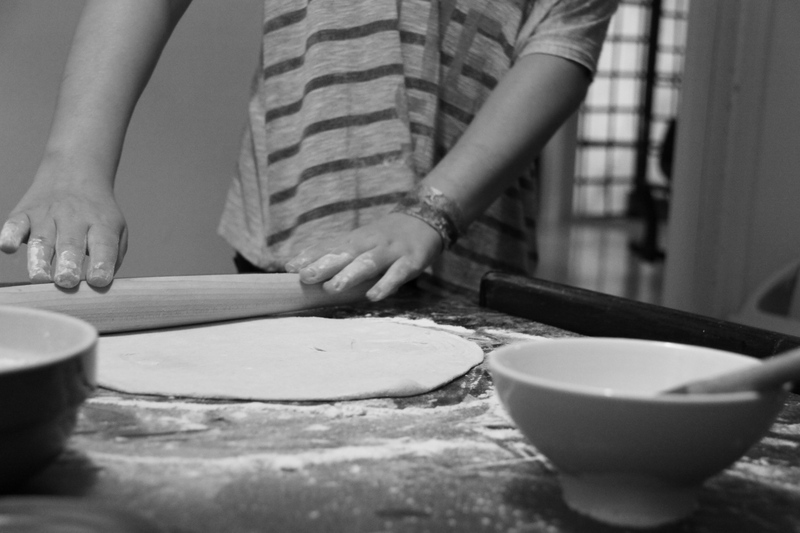 Lulu Schwartz (11) fashioning her dough just right. When Food & Wine Magazine approached us to include Michael and his kids in a cooking at home feature, the answer was a resounding um, YEAH! With the deadline fast approaching, a quick scramble ensued, asking our friends @luciniitalia and @teenaspridecsa for some edible schwag to incorporate into two recipes for Sunday Family Pizza (& Salad!) Night, and… voila! I dropped by their South Beach home to paparrazza the whole shebang and today the “Star Chefs’ Kids Cook” extravaganza is live online! Read the Schwartz family’s Q&A about cooking healthy with kids at home, see my photos of pizza night, and get the recipes for Roasted Vegetable & Arugula Salad with Shaved Trugole, and Pesto Pizza with Homemade Ricotta, Heirloom Tomatoes & Pecorino, all here! Do you cook at home with your kids and what do you like to make?